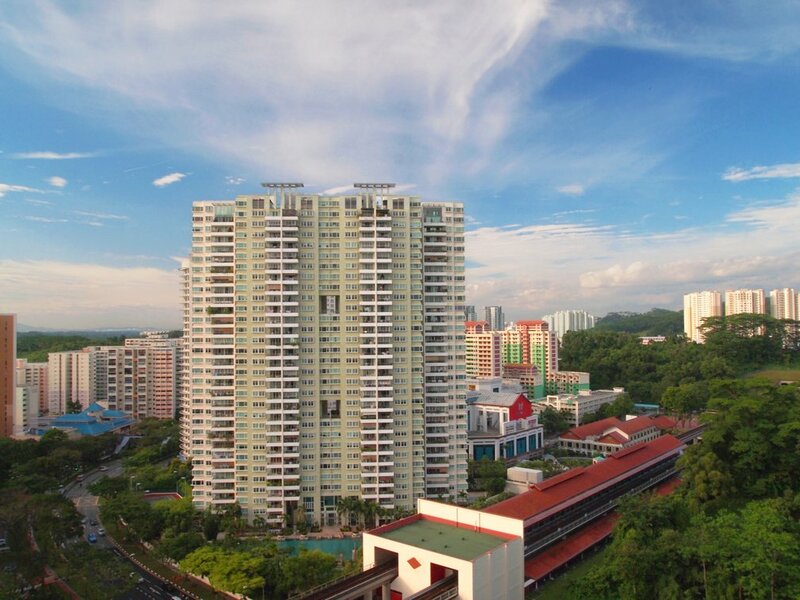 The West of Singapore is home to a number of business parks (Science Park, International Business Park, Alexandra), universities, the Buona Vista/one-North business district and Singapore’s largest industrial estate in Jurong, which means that it makes sense for many Singaporeans to set up home there. The same goes for expats as well, and the towns in the West of Singapore each have their own attributes. A fair few condos in particular tick the all-important boxes of affordability and accessibility to the Central Business District (CBD). Who says you can’t find cheap and convenient condos, especially with the 99.co property portal here to help? For those who want to stay in the West on a budget should give The Jade serious thought. Residents at this full-facility condo have Bukit Batok town centre (West Mall and Bukit Batok MRT station) literally at their doorstep, courtesy of a side gate that opens up to a public plaza. This puts them within 10 minutes reach of the Jurong East lifestyle and entertainment cluster as well (on MRT station away). If nature’s your thing, The Jade is also a short distance away from parks such as Bukit Batok Nature Park and Little Guilin, with the Bukit Timah Nature Reserve only slightly further afield. At 31 storeys tall, the higher floors of this condo also offers stunning views of the town and beyond. The cheapest condo units for rent at The Jade are listed for as low as $2,950 per month. You know how they say old is gold? Maysprings may not be the newest kid on the block, but the well-maintained condo still a respectable — not to mention extremely — choice for renters. First of all, it’s located in a town that has benefitted from a whole host of new amenities recently, in particular a direct rapid rail link to the city (from Bukit Panjang MRT station on the Downtown Line) and a sprawling new shopping mall (Hillion mall). These amenities, in addition to the existing Bukit Panjang Plaza, is literally right across the street. For night owls, there’s also a 24-hour supermarket within walking distance. And if you’re the sort who prefers exercising outdoors rather than in the gym, the nearby Bukit Panjang Park/Pang Sua Pond area is perfect for an evening jog, with Chestnut Nature Park (Singapore’s largest nature park) and the Bukit Timah Nature Reserve just a few bus stops away. The cheapest condo units for rent at Maysprings are listed for as low as $2,200 per month. The Centris is an integrated development that sits atop the gigantic Jurong Point shopping mall. While integrated projects are typically pretty expensive, The Centris is an exception; it’s a cost-effective option for renters who don’t want to break the bank. Tenants concerned about noise from the mall also need not worry, the pool-facing units in particular have an air of tranquility about them. The other units face either a busy street (and a well-stocked public library) or the Boon Lay MRT station, which is just a hop and a skip away. 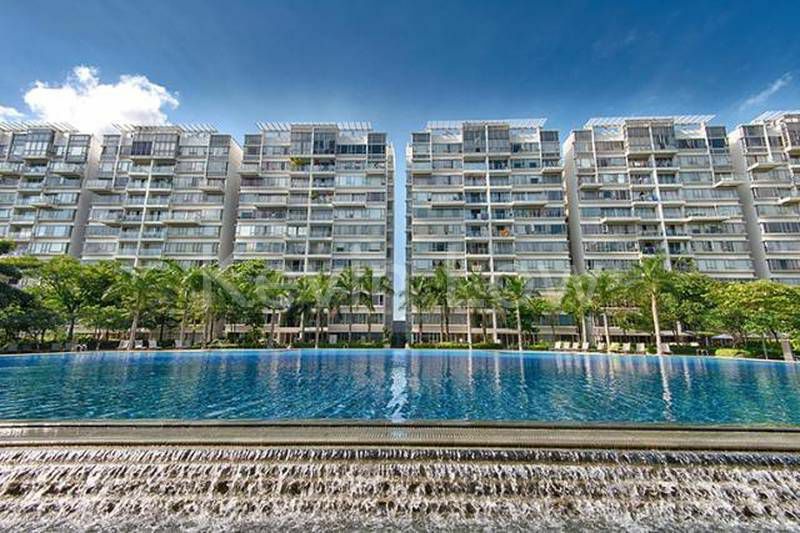 Oh, and the swimming pool in The Centris is one of the biggest ones we’ve ever seen in a condominium; it’s nearly double the size of a standard 50-by-25 metre Olympic pool! 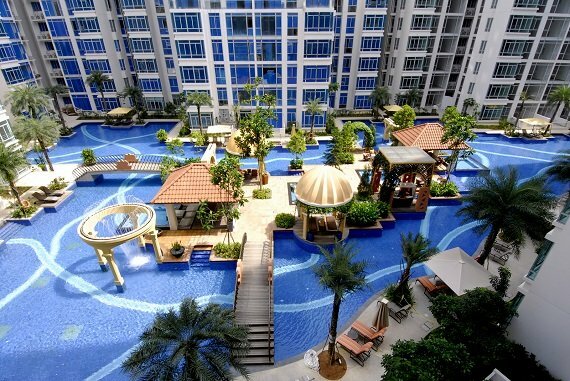 The cheapest condo units for rent at The Centris are listed for as low as $2,900 per month. If The Centris is a little to bustling an environment for you, consider the condos near Lakeside MRT (one station away). This would put renters near the picturesque Jurong Lake Park area, and within close proximity to the Canadian International School. 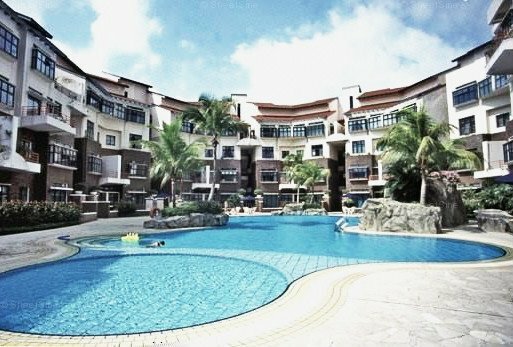 The Lakeshore is one such condominium, characterised by a resort-like pool area and units with views of the Jurong Lake. Like The Centris, this condo is an affordable yet attractive and family-friendly option for tenants who work in Jurong. The cheapest condo units for rent at The Lakeshore are listed for as low as $2,400 per month. Within every prime residential district in the world is a bargain rental find, and Singapore’s District 10 is no exception with Nineteen Shelford Road. A low-rise development located on a quiet street, this is an cosy location for expat tenants who are used to living in a low-density environment. Sure, it’s a little far from the nearest MRT station, but once you board the train it’s just a 17-minute ride to the CBD. In addition to two MRT stations within about the same walking distance (Tan Kah Kee and Botanic Gardens), dining options in the area are also varied, from a hawker centre to upscale restaurants. In keeping with the more laid-back nature of the neighbourhood, there are no huge multi-storey malls here. That said, there’s a supermarket for your everyday needs at Coronation Plaza and the UNESCO-listed Singapore Botanic Gardens — both within a 15-minute walk. There are also a number of international school in the vicinity, given the large proportion of expat families in the area. The cheapest condo units for rent at Nineteen Shelford Road are listed for as low as $2,300 per month. Want to find condos for rent that are most accessible to your workplace, your partner’s workplace AND your child’s school all at once? 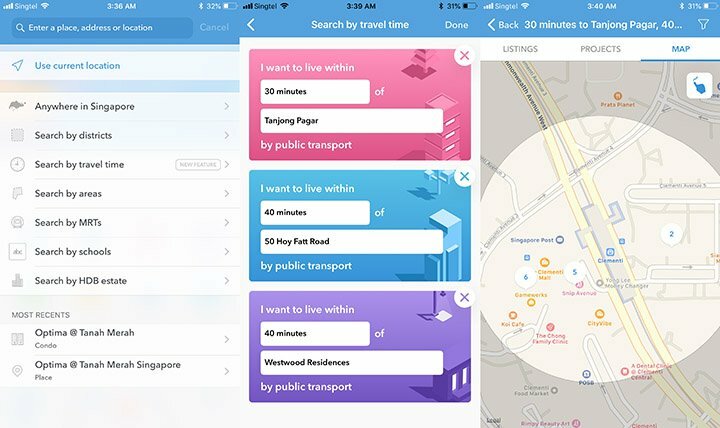 Use the ‘Search by Travel Time’ option on 99.co! Looking for a property to rent? 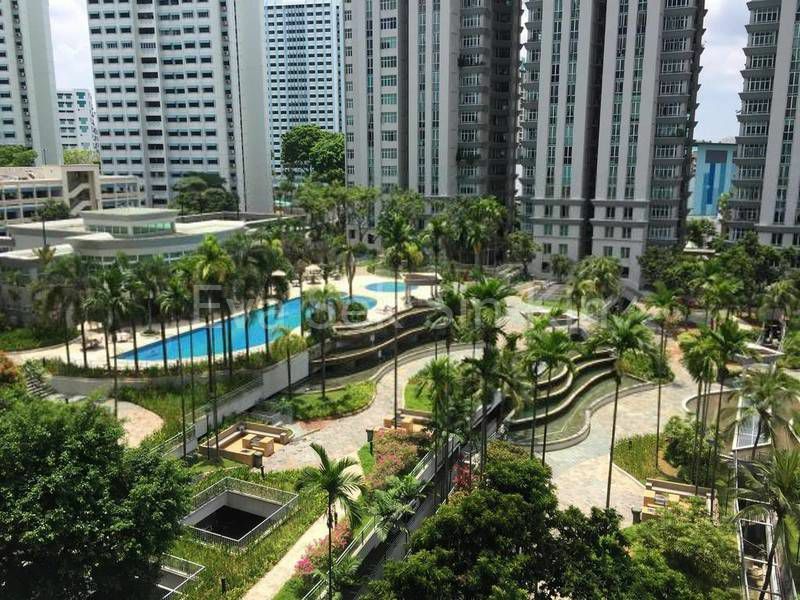 Find your dream home on Singapore’s largest property portal 99.co!